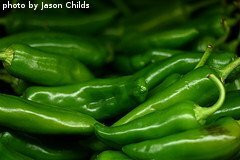 Hot Pepper Varieties - What's the Difference?? 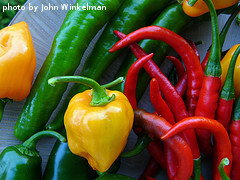 Hot pepper varieties span the spectrum of sizes, colors, shapes and heat levels. 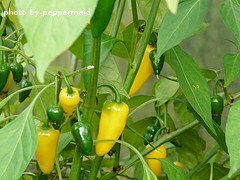 Here is a partial list of common varieties of hot peppers that can easily be grown by the backyard gardener. The list includes fruit descriptions and heat levels. Please note - days to harvest are counted when the seedling is transplanted. Obviously this is just a small list. There are literally hundreds of varieties of peppers available to the backyard gardener. These varieties can be found in online stores, seed catalogs, garden shops, etc... If you are interested in other varieties of peppers, consult the seed packets for further fruit information.